Our senses allow us to perceive the world. If you are blind, you would use your hands or cane to feel around. If you are deaf, you would read lips as well as hands through sign language. Without smell, you would have no idea what you were tasting. We are taught at the youngest of age all about our five body senses yet the biggest & probably most vital sense is often left out…the sixth sense. It is quite common for people to discount what they cannot physically see, hear or touch so therefor they conclude it is not real or there. Yet science reveals there are many levels of unseen light, unheard of sound that dogs can hear and we actually aren’t touching something but we have the sensation of touch via the forces of the electrons. So what is it and why is it important to go beyond the reception of information not gained through the recognized five senses anyway? Because in a world that is constantly demanding & distracting vying for our attention, accessing the subtle world can be a great tool in how we navigate ourselves with more joy & ease. We are creating our lives moment by moment, choice by choice, thought by thought in every second. For some, this unlimited amount of choices can be stressful & overwhelming especially when you are aware of the fear in choosing the wrong one. 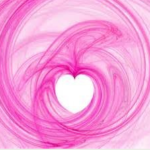 As a Thought Coach/hypnotherapist, I teach my clients to access & use their heart intelligence as a tool to guide them in the same way the brain is used by the other 5 senses. Did you that there are more neurons in the heart than the brain?! So it might behoove us to have the heart talk to the brain given the tremendous amount unhappy stressful people that are running around. If left unchecked, my inner chatter mind’s chaos is much louder compared to the softer whispers of the heart which knows what it desires and what it does not. It does its best to communicate it’s YES and NO if we can learn to listen. It is always cuing us when we are on our wellness path, when we are veering off course & especially when we need to pull over because we are crazy lost. 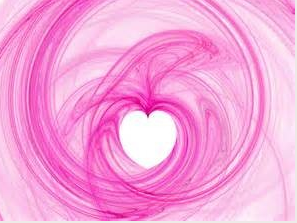 The stronger one’s connection is to their heart’s knowing; the deeper enrichment of life will be expressed & felt.